Indian classical music along with its two variants, Carnatic and Hindustani music relish an array of audiences all across the globe. Carnatic music that has gained immense popularity in South India has remained untouched by other music traditions and is one of the classic range of Indian music. Nowadays, there are many people who wishes to enhance their skills and learn carnatic music. But, many people have a misconception that classical music can be learned only in the Gurukalas. Technology has brought revolution in every sector and music is no exception. 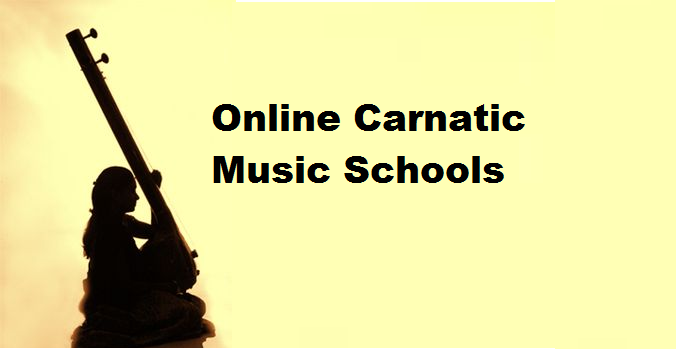 There are numerous online carnatic music classes that teach carnatic music and help people enhance their skills. Acharyanet is a well-known name for providing best-in-class Carnatic music video lessons taught by the experts for empowering students worldwide. The experts strive hard to introduce the best music learning methods to multiple number of students all across the globe. Equipped with highly trained gurus like Padma Bhushan Shri P. S Narayanaswamy, Sangeetha Kalanidhi R.K Shrikantan, Sangeet Samrat Chitravina Ravikiran and many more. Moreover, the students can also get certifications by giving the exams online. Ravindram Academy Of Music recently launched a program named GOS, (GURUKALA OVERSEAS) that help students living abroad and different parts of the country learn carnatic music online through Skype. The sessions are conducted on one basis with the time duration of 1 hour. Apart from this, this online music school also organizes exams online with the expert musician judging them and then the certificates will be given in the big music festival. Radhika Krishna Carnatic Music School online assists the aspirants of Indian classical music to learn carnatic music free of cost. This online portal also provides interactive Mp3 audio files that help students learn and rehearse Carnatic music in their desired way. This music class was started with the aim to help aspirants of carnatic music to learn the basics of carnatic music for free. The generic exercises of carnatic music are explained in a systematic way. The website is designed in a way that it is very easy to use. Both the student and teacher can start the class without any hassle. All they need is a good internet connection and in some sessions, even a web cam is must. Every student is provided with a username and password. When they log in, they can easily access the tutorial, video chat room, whiteboard and voice. All you need to do is to select your area of interest and register with the portal. Divya Music School in India is popularly known for offering online classical music training lessons for Indian classical vocal music for those who wish to learn carnatic vocal music. The students can avail the music lessons through skype right at the convenience of their home all across the world. Promoted by the number one music school in India- Divya Music Sangeet Vidyalaya, Divya school is among the most popular music education centers in India. Enrolling with Divya Music School enable the students to learn carnatic music from the top musicians. The above list showcases the top online music schools which help the aspirants fulfill their dream of becoming a carnatic classical singer. The list does not end here but yes this list will ensure quality classes that you can take right at the comfort of their place. A good and wise decision will definitely see their hobby transformed into a passion and after that possibly a bright future.